My girl is four now, and I really want to focus on traditions that we can start or continue as a family. It's too easy to get caught up in the commercial attitude of Christmas. Though I do love a good deal and start my holiday shopping early, even as early as Boxing Day and New's Year's week. That is the best time to buy decorations, and much more. I have no problem holding onto items for 12 months, especially if I can get a $20 item for less than $5. Last year I got holiday gifts on clearance at my local Hallmark store for my Christmas 2013 list. I can't tell you what they are because that would ruin the surprise for my family members on the receiving end. 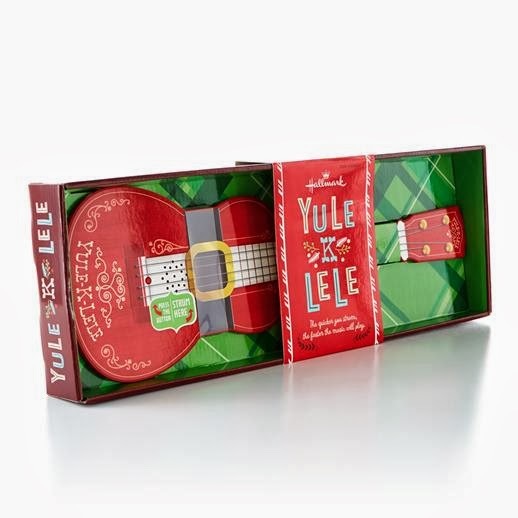 In the spirit of giving, I am giving away a Yule-k-lele from Hallmark Canada. This fun toy is already spreading Holiday joy at our house, long past bedtime I might add. Plays Deck the Halls, Jingle Bells, Jolly Old St Nick, O Christmas Tree, Up on the Housetop, and We Wish You a Merry Christmas. Touch sensor on guitar bridge. Disclosure: As a Hallmark Press Pause member I receive occasional perks. All opinions on this blog remain honest and my own. Santa's Magic Cuckoo Clock would make a great gift! I like the Season's Greetings! Keepsake Ornament, you can add your own photo. that would make a nice gift! The Princess Harmony Costume and Story Book would delight my oldest granddaughter. Snoopy's Christmas Dance Party would get the family up and dancing along! The Season's Greetings Keepsake Ornament would make a great a holiday gift for everyone! 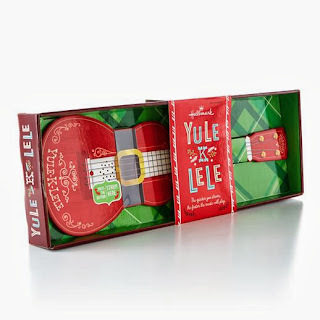 I think the Pics 'n' Props Christmas Fun Kit looks really fun! I think any of their Keepsake ornaments would be perfect for gifts. I think the count down to christmas ornament would make a great gift. I'd love to give my grandma the Wizard of Oz Christmas Tree ornament.